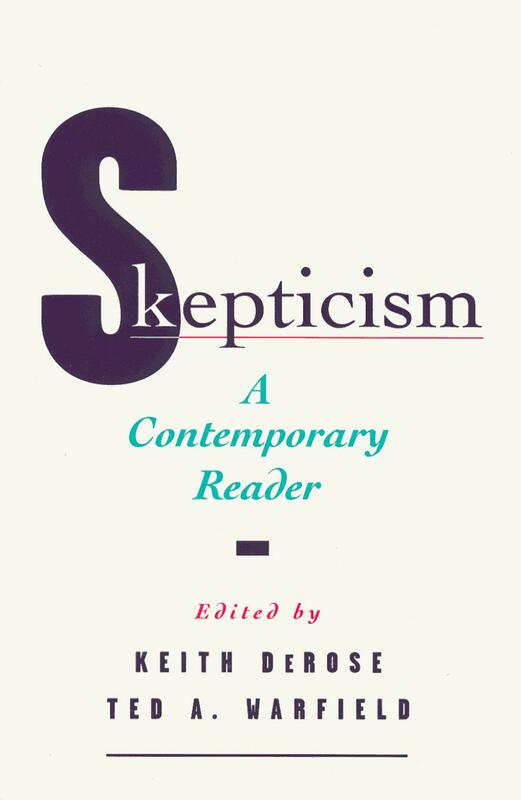 A collection of the best and most important recent philosophical essays on the topic of skepticism. Note: This is from the disk I (KDR) sent to Oxford UP. Since the document on the disk was edited a bit, what appears here is not exactly as the essay appears in Skepticism. It’s pretty close, though. In the version that appears in the book, page references to other essays in Skepticism refer to page numbers in the book, while here page references are, for the most part, to the original place of publication of the essays referred to.